Welcome to Mrs. West’s Webpage!!! …to know your assignments or when the next test is? Go to stjohnsschools.schoology.com. 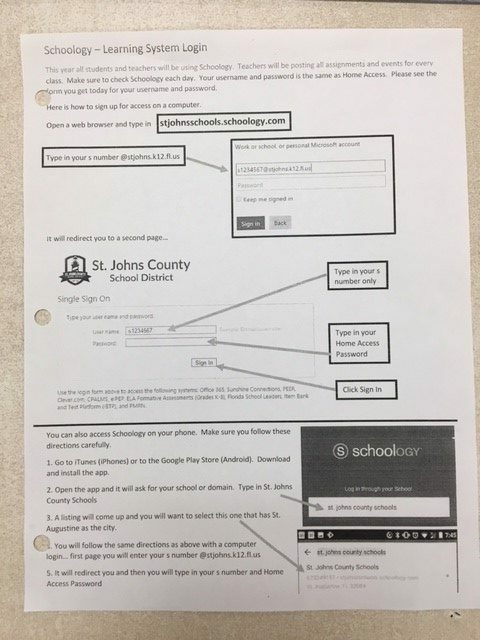 For instructions for setting up your Schoology account, click here. …to contact Mrs. West? Email her at [email protected] . Or phone : 547-8300, extension 26295, voice mail 26413. …to check the course syllabus? For Advanced Topics in Math, click here. For AP Statistics, click here. …to make up a test or quiz? You may take it in class on the day you return or during EXCEL Time. …to get help with homework? Come to my class during EXCEL Time. …to go over mistakes on your last test? You will have the opportunity to ask questions in class after I have graded the test. You could also come to my class during EXCEL Time.